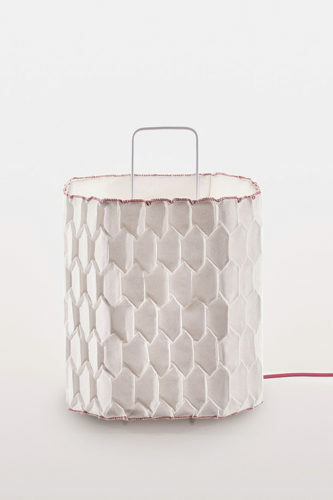 Famiglia di lanterne con struttura in tondino verniciata e rivestimento in tela plissettata (poliestere ignifugo trattato con resinatura H2O). 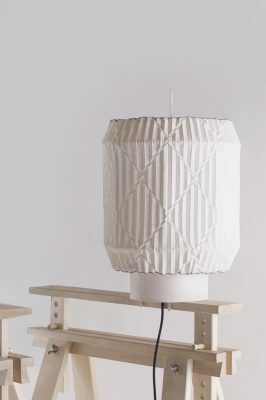 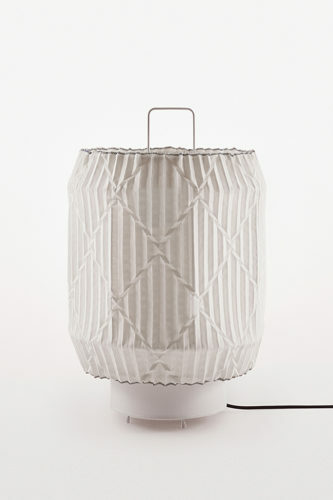 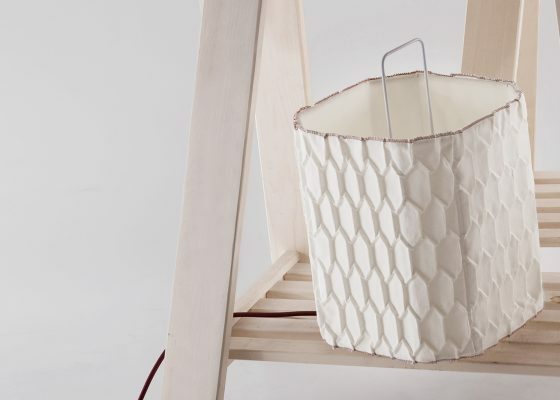 A series of lanterns with metal white painted structure and covering in pleated fabric (fireproof polyester treated with H2O resin). 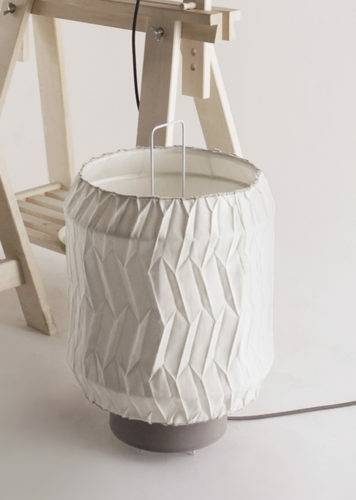 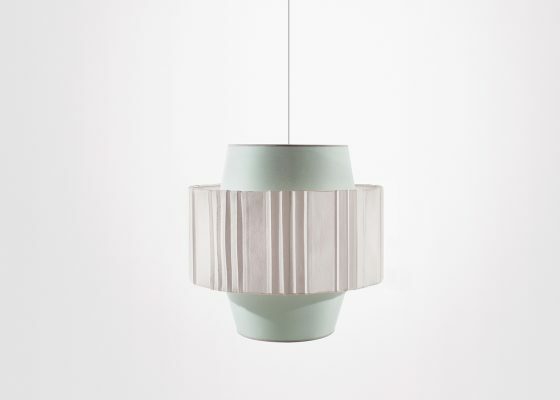 The lampshades are ‘dressed’ on the metal structure, thanks to the elasticity of the fabric. 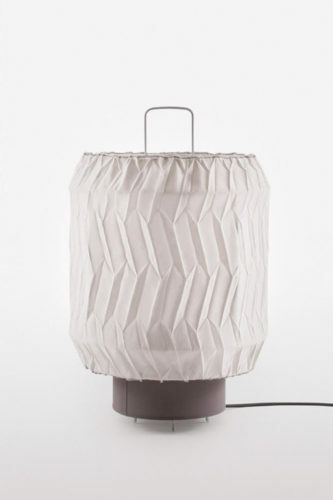 Fabric types: Chevron, scale, rumble and classical; with cut / stitch edging and contrasting coloured cord.